Tring Running Club is pleased to present the 38th Ridgeway Run which will take place on Sunday 13th October 2019 at 10am. Entries will open on 13th May. 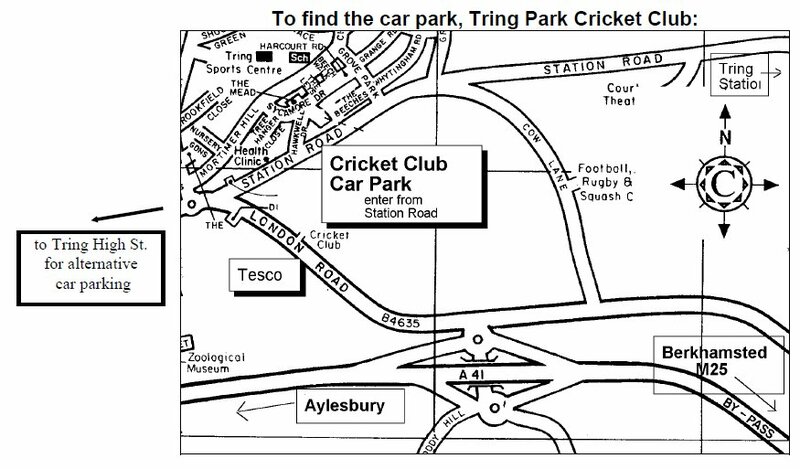 Meet at Tring Park Cricket Club (map). Postcode for car park: HP23 5NW. Race starts in Marshcroft Lane. Race numbers will be available for collection at the Cricket Club from 8:30am on the morning of the race. Please allow at least 15 minutes to get to the start from the Cricket Club. Please do not park near the start as this causes problems for local residents. In the event of bad weather you will be directed to alternative car parks in Tring a short walk from the Cricket Club. Please note a charge may be made for these car parks. Changing facilities, showers (male/female) and toilets available at the Cricket Club. Additional portable loos available outside the Cricket club. Presentation of prizes at the Cricket Club at approx 12:15pm. Refreshments for sale in the Cricket Club pavilion, including bar, tea, coffee, bacon rolls etc. Apex Sports stall for running shoes and kit. * As the Ridgeway Run has an ARC permit, you can pay the affiliated fee if you are a member of a club which is affiliated to either ARC or UK Athletics. You do not need to be personally affiliated. If you want to eye up the competition, arrange a lift share with a clubmate or can’t remember whether you have entered, have a look at our entries to date page. John Lewis vouchers. All prizes are based on gun times. £20 Apex Sports voucher to each team member. Team prizes are awarded to the runners from a club or team with the fastest aggregate gun time. Mens teams, first 3. Ladies teams, first 3. While we do not give refunds or defer entries if you are unable to run, we are happy to transfer your entry to another runner. Please email us at ridgewayrun@tringrunningclub.org.uk with details of the replacement runner – name, gender, date of birth, email address and affiliated club (if applicable). Please note that the race involves the crossing of several roads. The crossing points will be marshalled but marshals are NOT able to stop the traffic. It is YOUR responsibility to cross safely. Please take particular care especially when crossing into the finish. Losing a place is better then a life or a limb. The course is multi-terrain. This means there are bumps and lumps and stumps and branches and all the hazards of the countryside. You know that, that’s why you are doing the race, but take care. The descent of Incombe Hole (a little before the second water station) can be very slippery when wet and Pitstone Hill (just after the second water station) has a lot of rabbit holes; don’t go down one. Please show consideration to other users of public footpaths and rights of way. Entrants are not permitted to wear headphones and anyone doing so may be disqualified. Please wear your number pinned to your chest, not on your back, shorts, socks, belt, hat or in your hair. It needs to be clearly visible as you cross the finish line. First aid will be available at the start and finish, at the Bridgewater Monument (approx 3 miles and the top of the big hill) and at Pitstone Hill car park (approx 6 miles). There will also be the water stations at these points. When leaving the car park if the race is still in progress you will be asked to turn RIGHT in order to avoid crossing the race route. Please keep an eye on the race Facebook page for any last minute instructions. Is there a cut off time for completing the course? – There is no official cut off, and ‘not fast’ runners are very welcome. Most runners complete the course in under 2 hours 15 mins. – No. There are sections of road at the start / finish. Trail shoes are ideal, if you have them. I missed getting a place. How can I be sure of getting a place next year? – The race sells out faster every year. If you ‘like’ the Ridgeway Run Facebook page you will be the first to hear when entries open in May. We only post about half a dozen times a year, so you won’t be inundated.